What is the basic source of law? Describe the scope of, and limitations on, government power relevant to the regulation of lobbying and government relations. There were no recent and important developments in the Brazilian Constitution and laws regarding lobbying regulation and government relations. Therefore, the activity has not yet been specifically regulated. Considering the 2018 elections, it will be necessary to check whether the new members of the executive and legislative branches will focus on this regulation in the next four years. Social participation in the decision-making process remains based on the individual rights and guarantees described in the Constitution enacted in 1988, which include freedom of speech and assembly, and the right to petition. The latter establishes that every citizen may submit a plea to the government in order to advocate for their rights and stand against illegalities and abuse of power. These individual rights enable all citizens to exercise free democratic participation in the decision-making process, which is related to lobbying and government relations. These rights are in harmony with the bases of the Brazilian Constitution, which establishes a democratic, republican and federative nation, where all power belongs to the people, who exercise it by electing representatives and their appointees. Describe the legislative system as it relates to lobbying. Brazil adopts a presidential system of government. Elections take place every four years for the executive and legislative representatives. The federal parliament (the National Congress) is bicameral, composed of the House of Representatives and the Senate. The main role of Congress is to legislate, but it also oversees the executive branch and, for that purpose, it has the support of an auditing governmental body. The executive branch is composed of the Cabinet, 22 ministries and a large number of public agencies. These governmental bodies have autonomy to regulate legislation approved by Congress. On this point, the new Brazilian president will have to face a discussion about the need to reduce the number of ministries and government spending. The Cabinet can also enact executive orders that enter into force as soon as they are published and are valid for a period of 60 days (and are renewable for the same period). To become law, Congress must vote on the executive orders. There is a strong constitutional system of checks and balances in place. In addition, state and municipal legislative bodies may create legislation according to their constitutional attributions, which means that local lobbying is also relevant. The 2018 elections have brought important changes concerning the members of the National Congress, with a 43.2 per cent renewal in the Senate and 47.2 per cent in the House of Representatives. This means that the new president of Brazil will need to go to a great deal of trouble to form a governmental coalition. Regarding lobbying and government relations, some important parliamentarians for this regulation were not elected (authors and rapporteurs of bills, for example). Therefore, it will be necessary to check if this topic will be discussed as a priority by the new members of Congress and the new president. Describe the extent to which legislative or rule-making authority relevant to lobbying practice also exists at regional, provincial or municipal level. The government has a complex structure, with autonomous state and municipal bodies for decision-making and legislating. A long list of responsibilities is established in the Constitution regarding federal, state and municipal matters, some of which are assigned at more than one level. Municipal legislative authority includes tax, urban planning, public safety, sports, and culture and recreation, among others. Although not regulated, lobbying and government relations take place locally owing to the constitutional bases for the interests concerned. There were no municipal elections in 2018, but, to some extent, it is possible that the new federal and regional actors will influence the way the local decision-making process is conducted. Does the legislative process at national or subnational level include a formal consultation process? What opportunities or access points are typically available to influence legislation? All bills of law must be assessed by the House of Representatives and the Senate. In both houses, bills are submitted to thematic committees and assessed by an appointed rapporteur who must issue a report for approval, rejection or adjustment of the bill, which is confirmed by the Committee. The plenary of the houses may also assess the bill depending of the type, and the priorities and themes to be voted on. Rule-making power is also granted to the president (Chief of the Executive Office), who is responsible for sanctioning (or vetoing) and enacting most bills. Additionally, the executive branch may submit bills of law to be voted on by Congress. The Supreme Court also plays a role in rule-making because of the erga omnes effect of most of its decisions and to increase judicial activism. In general, the Brazilian legislative process includes phases of public participation, such as public consultations, public hearings and mechanisms for presenting legal suggestions. The participation takes place mainly in the legislative houses and via official websites. The Constitution also allows for citizens to propose bills, as long as the proposal comes from at least 1 per cent of voters in various areas of the country (which amounts to approximately 1.5 million signatures). Recently, the oil and gas regulatory agency has launched many public consultations regarding laws about production, refining, distribution and sale of gasoline and other petroleum products. The government is seeking to meet a social demand in order to develop a new policy that stabilises the prices of fuels to consumers. There is also a general request from companies to have elements that help them predict market movements. Furthermore, there is a demand from some companies to balance competition in this market. Is the judiciary deemed independent and coequal? Are judges elected or appointed? If judges are elected, are campaigns financed through public appropriation or candidate fundraising? The judiciary in Brazil is independent and coequal. It is composed of trial courts, appellate courts and the higher courts (Superior Court of Justice and the Supreme Court). These courts will rule on civil and criminal law matters. In addition, Brazil has three specialist judicial systems for ruling on labour, electoral and military cases. Trial judges are not elected, but recruited as a result of their performance in specific high-level career exams. A different system applies to the higher courts, where members are appointed by the President according to a list of eligible professionals selected by the appellate court. These lists are mainly composed of trial judges, but a quota is reserved for career prosecutors and lawyers. All judges of the Superior Court of Justice are appointed by the president from a list of judges, lawyers and public prosecutors. With regard to the Supreme Court, the president may appoint anyone aged between 35 and 65 with exceptional legal knowledge and an immaculate reputation. The current president of the Supreme Court took up his post in September 2018 as the youngest to hold the position, at the age of 50. He indicated his intention to change some procedures for the relationship with the other branches of government and also that he intends to hear the ministers frequently regarding the cases that will be selected for trial docket. Is lobbying self-regulated by the industry, or is it regulated by the government, legislature or an independent regulator? What are the regulator’s powers? Lobbying is not regulated in Brazil. The activity is performed on the grounds of article 5, XXXIV, subparagraph (a) of the Constitution, which grants everyone the right to represent their interests and to advocate against illegalities and abuse of power. The Constitutional right of petition ensures that every citizen and sector has their demands and pleas assessed by the government, which indirectly confers on everyone the right to lobby. As such, although no legislation in Brazil regulates lobbying itself, several rules seek to set the parameters for public-private sector interaction. These rules, combined with the right to petition the government, are understood as the framework for lobbying in Brazil. When discussing lobbying regulation, it is important to note the role played by Operation Car Wash (a criminal investigation carried out by the Federal Police of Brazil that began as an investigation into money laundering and expanded to corruption at state-controlled oil company Petrobras and other private companies) in raising awareness about lobbying malpractice and placing discussions about transparency, legitimacy and lobbying activities on the national agenda on a daily basis. Although the aim to regulate lobbying has only been a focus recently, it has been on the agenda for Congress for over 20 years, when the first bill to regulate the activity was submitted to the Senate. Since then, several bills have been proposed and the one leading the legislative process with strongest support is Bill 1202/07. It is currently on the floor to be voted on by the plenary of the House. Another direct consequence of lobbying awareness is the increasing number of private associations created with the purpose of uniting lobbyists and discussing the regulation of the activity. Most of these associations have a binding internal code of conduct that may serve as an informal marker of good conduct in the market. This voluntary membership may be interpreted as tentative self-regulation. Is there a definition or other guidance as to what constitutes lobbying? There is no legal definition of lobbying. Recently, in February 2018, lobbyists were recognised by the Ministry of Labour under the title of institutional and government relations professionals. This recognition did not aim to define or regulate the professionals; it only featured including the profession in the Ministry of Labour list of professional activities. In Brazil, the term ‘lobbying’ has assumed a depreciatory meaning, related to the act of wrongdoing. Consequently, all draft and issued bills have avoided the expression. representation of interests is defined as a person sharing his or her own views and opinions, or those of a third party (as previously authorised), with decision makers. Is there voluntary or mandatory registration of lobbyists? How else is lobbying disclosed? There is no mandatory registration for lobbyists in Brazil, but there is voluntary registration in Congress for lobbyists who represent public agencies or civil entities recognised and authorised by the Senate or the House of Representatives’ board of directors. This register is intended to facilitate access to Congress. It does not entail any disclosure to the entities and professionals accredited. Each federal body or civil entity is limited to two representatives per House. Only associations, trade unions and entities with national representatives have the right to register their representatives in Congress. Recently, the Senate system changed so that only government officials may register. Bill 1202/07 does not require lobbyists to register and it establishes a minimum disclosing rule for lobbyists to name who they are representing when engaging with politicians or public officials. What communications must be disclosed or registered? Since there is no lobbying registration in Brazil, there are no rules for lobbying disclosure. It has become increasingly common for lobbyists to request formal meetings with congressmen, but it is also still commonplace to see citizens and representatives engaging with congressmen in the hall passages, and at events and committees that take place in Congress. The same does not apply to the executive branch because of the rules enforced by article 11 of Law No. 12,813/13. According to this Law, directors must make their daily agenda available on the internet, indicating who attended all the meetings held on that day. In addition, Decree No. 4,334/02 provides that meetings with any government official must be requested by email or fax, disclosing the association, company or individual requesting the meeting, the name of each private-sector representative and the subject matter to be addressed. The meetings must be attended by at least two public officials and a record of the meeting must be registered afterwards. Which entities and persons are caught by the disclosure rules? There are no disclosure rules for lobbying as there is no distinction between lobbying activities practised on behalf of third parties or an individual’s own interests, or even by non-profit entities. It is possible that disclosure rules will be enacted in the future, jointly with a lobbying regulation, since there are no constitutional rules forbidding such disclosure. 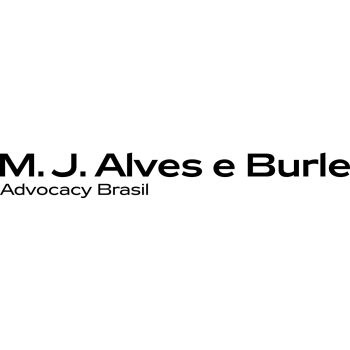 The Brazilian Bar Association’s Code of Conduct, however, exempts lawyers from disclosing confidential information related to their clients and contracts. What information must be registered or otherwise disclosed regarding lobbyists and the entities and persons they act for ? Who has responsibility for registering the information? Brazil does not regulate lobbying. As a consequence, it is not mandatory for lobbyists to disclose information about their services, engagement, clients or finances. When must reports on lobbying activities be submitted , and what must they include? There is no lobbying regulation in Brazil. Therefore, lobbyists are not required to report their activities, earnings or engagements. The same applies to companies and associations that enlist lobbying services. The main proposal in Congress Bill 1202/07 does not mandate disclosure of lobbying activities. It establishes voluntary registration for lobbying professionals but does not go into details of which procedures will be required for certification and whether disclosure will be part of it. How is the registration system funded? There is no financing system for lobbying registration as there is no mandatory registration for lobbyists in Brazil. The only registration available for lobbyists are two separate systems implemented in the House of Representatives and in the Senate to simplify access to these houses, but it is free of charge as mentioned in question 8. Is access to registry information and to reports available to the public? There are no disclosure rules for lobbying in Brazil. Therefore, there is no data regarding registry information and reports on lobbying activities to be released to the public. Upon request, the House and Senate registration systems (see questions 8 and 13) will disclose the entities registered in their files, but not the name of those representing them. Is there a code of conduct that applies to lobbyists and their practice? For instance, the Code of Conduct of the High Administration is an indication of the limits imposed by the legislature on the private and public sectors with regard to dispensing gifts and financing events, lunches and trips. The Clean Company Act imposes stricter sanctions on private companies for actions carried out against the government by introducing strict liability for private companies. All procedures related to the legislative process are described in the Internal Rules of each house of Congress. In addition, Law No. 8,429/92 addresses the actions that are considered administrative misdemeanours and the Penal Code prescribes crimes related to public-private interaction. Most private associations of lobbyists have a binding code of conduct for their members. Are there restrictions in broadcast and press regulation that limit commercial interests’ ability to use the media to influence public policy outcomes? Brazil does not have specific media regulations with regard to lobbying. There are broad limitations, and commercial interests’ use of the media to influence public policy outcomes is not specifically addressed. Brazilian consumer law establishes limits on all marketing campaigns, such as the prohibition of misleading and offensive advertising. Confusing consumers’ perception of products, etc, through advertising is also prohibited. The media is self-regulated and the National Council for Advertising Self-Regulation (CONAR) is responsible for creating and enforcing advertising-related rules. CONAR Resolutions do not address the influence of propaganda on public policy outcomes. How are political parties and politicians funded in your jurisdiction? Law No. 9,504/1997 establishes the rules for electoral campaigns, including requirements for candidates to run and to form coalitions, funding, accountability and campaign advertising. Political parties are mainly publicly funded by the Special Fund for Financial Assistance to Political Parties (the so-called Partisan Fund). The distribution of these resources is made according to each party’s parliamentary representation. A different framework is applied with regard to campaign contributions. In broad terms, individuals may contribute to electoral campaigns up to a limit of 10 per cent of their annual income prior to the election year, and legal entities are no longer authorised to make donations. Must parties and politicians register or otherwise declare their interests? What interests, other than travel, hospitality and gifts, must be declared? All political parties’ revenue and expenses must be annually reported for judicial review. If accounts are rejected or not correctly declared, the electoral justice system may apply different levels of sanctions. During their terms, house representatives are entitled to some allowances and reimbursement of expenses, such as transportation, accommodation, telephone expenses, postal services, maintenance costs of parliamentary offices in support of parliamentary activity, food expenses, security services and use of consultancies. Senators also have a monthly allowance to spend during their terms, or are reimbursed for those expenses. Expenses including medical and dental care, accommodation, travel tickets or leasing of aircraft are covered by the Senate if they are correctly reported by senators. These interests must be declared to the respective house of Congress and made public to all citizens. Are political contributions or other disbursements to parties and political officials limited or regulated? How? parties must have elected a minimum of 15 federal house representatives spread across at least one-third of the federal states. Parties that fail to meet this threshold will still be entitled to run and elect candidates, but will not benefit from the Partisan Fund and the free television and radio exposure. Consequences of the barrier clause have already been felt as a result of the 2018 general elections. The number of political parties represented in Congress is expected to go down significantly in the next term since 14 out of 30 parties have not met the minimum electoral performance to access to public funds in the next election. The precise number of political parties represented in Congress as of February 2019 will ultimately depend on possible political coalitions. Partisan Fund resources derive mainly from the federal budget, but also from the collection of penalty fines applied to those who breach the Electoral Code. Additionally, individuals and legal entities may also make private donations to the Partisan Fund as long as they are earmarked and traceable. Distribution of fund resources is made according to each party’s parliamentary representation. In addition to financial funding, political parties are entitled under the Constitution to free television and radio broadcasting. The counterpart to this indirect public funding comes from tax waivers granted to broadcasting companies. The minutes allocated to each party are directly related to the number of congressmen with mandates. In the case of party coalitions, their television and radio broadcasting may be aggregated. Describe how political campaigns for legislative positions and executive offices are financed. The electoral legal framework is established in Brazil by Law No. 9,504/1997, which has been modified many times. Until 2016, both individuals and private entities were allowed to contribute to political campaigns, with different contribution caps. There used to be a contribution limit of 2 per cent of legal entities’ income and a limit of 10 per cent of individual annual income for contribution. In an effort for more transparency and less corruption, changes were made to restrict campaign donations coming from legal entities. On 17 September 2015 the Supreme Court, having been called upon by the Brazilian Bar Association, ruled that campaign contributions coming from private legal entities were unconstitutional and would no longer be allowed. The ruling went into effect immediately. On 29 September 2015 Congress approved the ruling and the Executive Office enacted new legislation reinforcing the prohibition of campaign donations by private legal entities. In 2017, other changes in campaign funding were approved by Congress to promote amendments to the Constitution (Amendment 97 of 2017) and to Law No. 9,504/1997. Among these changes, Law No. 13,487/2017 created the Special Fund for Campaign Financing (the Campaign Fund). Unlike the Partisan Fund (see question 19), which finances the activities of established political parties, the new Campaign Fund finances electoral campaigns. It is also subsidised by the federal budget and distributed among parties. It was created to fill the gap of private entities’ campaign contributions. establishes the Campaign Fund to help finance electoral campaigns. Although it is possible to argue that private sector interference in the elections results may have diminished - at least officially - there is no clear evidence that more transparency or less corruption came out of the new legislation. Allegations of undue interference by private companies in social media campaigning put at stake the fair use of political tools. Another consequence of changes in campaign funding legislation is the unbalance caused by multibillionaire donors. Individual campaign contribution is not a tradition in Brazil, so as soon as private entity donations were outlawed a few individual donors stood out and generated an imbalance in interests being represented in Congress. Describe whether registration as a lobbyist triggers any special restrictions or disclosure requirements with respect to candidate fundraising. Although admitted as a practice under the constitutional right to petition, lobbying is not yet regulated in Brazil and registration is not mandatory (or even a voluntary common practice). Therefore, there are no specific rules as to how lobbyists must observe fundraising and electioneering limits. The rules applicable to lobbyists will be the same as those applicable to citizens in general. How is parallel political campaigning independent of a candidate or party regulated? According to article 14, paragraph 3, item V of the Constitution, among other requirements, political candidates must be affiliated to a political party in order to run for elections. However, the matter of independently running for political positions is pending judicial decision by the Supreme Court. The above-mentioned constitutional rule is being questioned in face of the American Convention on Human Rights (the Pact of San José), which limits the requirements for candidates to run for political elections and does not include in the list the condition of political affiliation. According to the arguments brought to the Supreme Court, the Pact of San José should prevail over the Constitution if it is more beneficial to citizens. With regard to parallel campaigning to support or oppose a candidate or political party, the practice would not only be unusual in Brazil but is also likely to be considered as indirect campaigning by the Superior Electoral Court, which may fall into the category of forbidden benefits. Electoral campaigns made via the internet, which includes all types of social networks, such as websites, blogs, WhatsApp and email, was authorised for the 2018 elections. All individuals may campaign using the internet, as long as its content is not supported by payment. This restriction does not apply for official campaigns, in which a Brazilian internet supplier can be paid to boost campaign contents in order to promote a candidate or party, but never to undermine other candidates. Fines will be applied in cases of non-compliance. Describe any prohibitions, limitations or disclosure requirements on gifts, travel or hospitality that legislative or executive officials may accept from the public. Brazilian legislation has many applicable provisions on this topic. Most legislation forbids public officials from receiving gifts, transportation, accommodation, compensation or any other favours, and accepting invitation for luncheons, dinners, parties and other social events. Public officials may take part in workshops, conferences or similar events, as long as the organisers do not have a particular interest in decisions to be taken by them, and that the amount of payment and travel expenses are made public. The two general exceptions to this are: if the giver is a family member or personal friend; or when offered by a foreign authority, in protocol cases where there is reciprocity or diplomatic circumstances. What anti-bribery laws apply in your jurisdiction that restrict payments or otherwise control the activities of lobbyists or holders of government contracts? The Clean Company Act establishes civil and administrative liability to companies that carry out any act against the government, for example promising, offering or giving an undue advantage to a public official; manipulating the competitive nature of a public bidding procedure; removing or seeking to remove a bidder by fraud or offering an advantage of any kind; or manipulating the economic and financial balance of the contracts with the government. Brazil does not have legislation on lobbying. In cases of violation during interaction with the public sector, criminal law sanctions are applied and lobbyists may be convicted of crimes such as corruption and influence peddling. Are there any controls on public officials entering the private sector after service or becoming lobbyists, or on private-sector professionals being seconded to public bodies? There are two main rules limiting public officials’ professional activities after their term has been served. Each has its own criteria, but both rules establish a period of four months before public officials can be employed elsewhere. being an adviser in cases based on non-disclosure information about public policies. be an adviser on cases based on non-disclosure information about public policies. take action on behalf of companies or individuals in any administrative body that he or she had engaged with. Is it possible to be barred from lobbying or engaging lobbying services? How? No. Brazil does not have legislation on lobbying services, which means that it is not possible to bar professionals from lobbying. There are ethics and compliance rules that must be observed while contracting and engaging with the public sector. Any violation of these rules during this engagement may be punished by criminal law. For example, there are penalties for influence peddling and corruption. Analyse any recent high-profile judicial or administrative decisions dealing with the intersection of government relations, lobbying registration and political finance? Operation Car Wash has uncovered cases of lobbying, and has resulted in further political finance and corruption investigations. In addition to the numerous cases of corruption that are being investigated, one relevant aspect of many legal cases, particularly the most recent of these, is the connection that investigators are making between campaign contributions given within the legal limits of the former legislation and corruption and kickbacks. Although private company funding for electoral campaigns became illegal, they were admitted under the previous legislation and for all general elections thus far as long as the legal limits were observed. Nevertheless, whistle-blowers are trying to label some campaign financing and lobbying activities as illegal investments or trade-offs in order to link them to corruption crimes. In cases of non-compliance or failure to register or report, what remedies or sanctions have been imposed? Reporting is not mandatory in Brazil. While engaging with public officials, government-relations professionals must observe other applicable laws, such as criminal, anti-corruption, ethics and compliance. However, regarding the registering or reporting of activities, there are no remedies or sanctions to be applied. Are there any emerging trends or hot topics in government relations, lobbying or related law and regulation? Have changes occurred recently or are changes expected in the near future (through either legislation or court decisions) that will have an impact on the practice of government relations or lobbying disclosure? The 2018 general election results came as a surprise. Many traditional political leaders were not re-elected, whereas newcomers constitute over half of the House of Representatives. Social media had a crucial role in electing people as high as the president of Brazil, who prioritised low-cost new campaign tools rather than traditional public funding and free broadcasting. This change will have a direct impact in government relations practice, as newly elected members of Congress are expected to arrive in Brasilia with new perspectives and a different mindset for policymaking. Many of the new members of the executive branch are in their first term. All of them will need to get up to speed on the lay of the land, but will also give their input on how a new more engaged electorate is expected to closely monitor politics and interact with the government. This is a challenge, but also an opportunity, for government relations professionals to reinforce the need for best practices and to implement them with ethics and transparency.